History was made when, for the first time ever, The Professional Association of Diving Instructors (PADI) provided its annual Instructors certification for the Eastern Caribbean for the period 18 to 31 August. PADI is synonymous with scuba diving and is recognized internationally as the leading scuba diver training organisation. 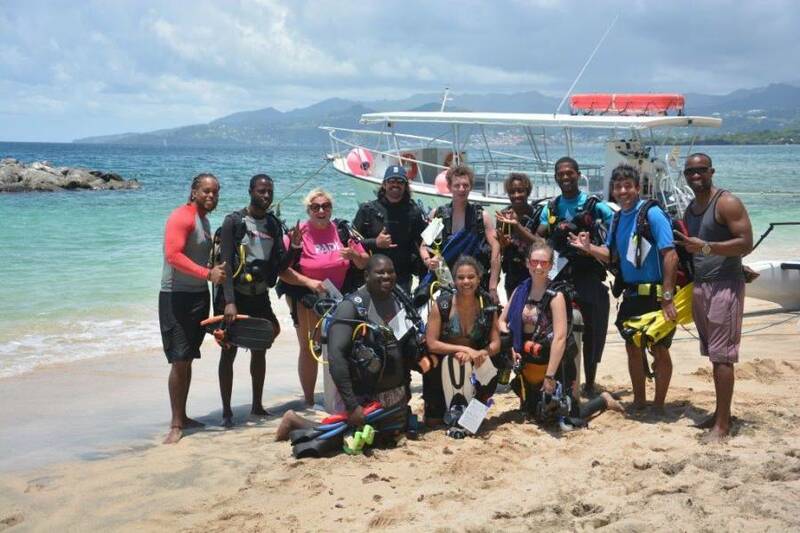 Typically PADI’s Instructor Development Course (IDC) for the Eastern Caribbean is offered in St Lucia, but for the first time shifted to Grenada. “PADI and Sandals and Beaches Resorts have had a long standing relationship; over the years we have certified thousands of divers. It is our pleasure to be here in Grenada, one of the Caribbean’s best dive destinations,” boasted PADI’s Platinum Course Director Patrick Hammer. “This is another demonstration of our dedication to our team. The natural friendliness and intelligent nature of our Eastern Caribbean team is outstanding and this couples well with the discipline of diving and teaching scuba diving. This initiative is an important investment for the individuals themselves and for the longevity of the Caribbean’s Dive industry.” Michael Clarke, Group Director of Watersports.